Our Leadership Team includes experts with over 100 years of experience in retirement plan investment advisory services. InR was founded by financial services experts who are industry leaders. Michael Glackin is President and Co-Founder of InR Advisory Services, a Registered Investment Advisory Firm headquartered in Media, PA, providing retirement plan investment advisory services since 1992 and serving over 300 clients with assets exceeding $800 million. As President of InR, Mike manages the firm, handling the staffing, compliance, trading, and client management functions and is actively involved in new business development. Mike is the Chairman of the Investment Committee. Mike has over 26 years of experience in the financial services industry. Mike is an Accredited Investment Fiduciary (AIF®) and a Certified Financial Planner (CFP®). He was named a 5 Star Wealth Manager by Five Star Professional in 2013, 2014, 2015 and 2016. The Five Star Wealth Manager award program is the largest and most widely published award program in the financial services industry, conducting in-depth, market-specific research in more than 45 markets across the United States and Canada to identify premium service professionals. Mike is also certified by Dalbar and is qualified to assume the responsibilities of an ERISA 3(38) Advisor. Mike is a graduate of Widener University where he received a Bachelor of Science in Business Administration. Jeffrey M. Hugo is Vice President and Co-Founder of InR Advisory Services, a Registered Investment Advisory Firm headquartered in Media, PA, providing retirement plan investment advisory services since 1992 and serving over 300 clients with assets exceeding $800 million. As Vice President of InR, Jeff is the Chief Marketing Officer, where he leads the new product efforts of the firm and is actively involved in client management functions. Jeff is a member of the Investment Committee. Jeff has over 38 years of experience in the financial services industry. Prior to joining InR, Jeff spent 19 years with Nationwide Financial as a Regional Vice President, where he was in charge of the Mid-Atlantic Region. Jeff also spent seven years at AON subsidiaries consulting with plan sponsors. Jeff is an Accredited Investment Fiduciary (AIF®). He has received the Chartered Life Underwriter (CLU) and Chartered Financial Consultant (ChFC) designations from the American College. He also holds the designation of Certified Employee Benefit Specialists (CEBS) awarded by the Wharton School and the International Foundation for Employee Benefit Plans. Jeff was a founding member and past president of the Philadelphia Chapter of the Certified Employee Benefits Specialists Program. He has taught pension and asset management courses for the American College, Penn State University, and Neumann College. Jeff is a graduate of the Wharton School of the University of Pennsylvania, where he received a Bachelor of Science in Economics. Thomas E. Babcock is CEO and a Partner of InR Advisors. Tom has been with InR Advisors for 11 years. Tom is responsible for maintaining relationships with municipalities in Delaware County related to their Defined Benefit plans. Tom has been instrumental in starting, managing and selling several small businesses over the past 20 years. He has served on the Board of Directors of SEPTA (Southeast Pennsylvania Transportation Authority) for ten years where he chairs three Board committees. Christopher Tomlinson is a Vice President at InR Advisors. Chris has been with InR Advisors for 10 years. Chris is responsible for communication and enrollment services associated with our Defined Contribution clients. Chris is a graduate of Montgomery County Community College and Temple University where he received a Bachelor of Arts degree. Brad is a Vice President at InR Advisory Services. Brad has extensive experience in the financial industry both on the retail as well as wholesale sides of the business. Most recently, Brad worked with with an investment advisory services firm as a Vice President of Retirement Plans. Brad previously was a Vice President at Merrill Lynch Employer Plan/Wealth Management Specialist. Brad is a graduate of Stockton University. Rich is a Vice President at InR Advisory Services. He began his working career at the Vanguard Group and has a solid foundation in the benefits of indexed investing. Prior to joining InR, Rich worked as an Investment Advisor at a local Investment Advisory Firm where he consulted with retirement plan sponsors and plan participants. Rich is a Certified Financial Planner (CFP®) and received a Bachelors of Science Degree from Pennsylvania State University. Francine has been with InR since its inception in 1992. Fran is the Director of Human Resources as well as the compliance and legal liaison for the firm. Fran oversees the sales and administrative departments in all aspects of sales and production. Fran is securities registered and insurance licensed. 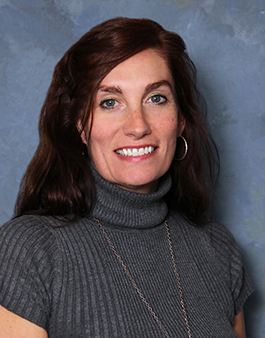 Fran is also a Notary Public for the Commonwealth of PA.
Jennifer Coale is an Account Executive at InR Advisors. Jen is in charge of the day-to-day administrative functions necessary to keep our plans running smoothly. Her duties include managing the periodic payment and tax reporting needs of our municipal accounts and fielding the inquiries from the staff employees of our municipal clients. She is instrumental in obtaining information related to asset statements and other information related to inquiries related to plan audits and participant questions. She is in constant contact with representatives at TD Ameritrade Institutional and TD Ameritrade Trust Company. Jen is a graduate of Kent State University. Jen has been with InR Advisors since 2011. Missy Martin is InR Advisory's Trader and Technology Liaison. Missy is responsible for trading, documentation, and account rebalancing of InR’s municipal clients and individual clients. Missy is a member of InR Advisory’s Investment Committee. As InR’s technology liaison, Missy works with InR’s technology partners such as TD Ameritrade, Redtail, Riskalyze and Morningstar. Prior to joining InR in 2014, Missy has spent over 25 years in the investment advisory business at Merrill Lynch Capital Markets, Instinet Corporation, Argos Partners and Ascendant Capital Partners. Missy is a graduate of St. Joseph’s University. To receive the Five Star Wealth Manager award, individuals must satisfy a series of eligibility and evaluation criteria associated with wealth managers who provide services to clients. Recipients are identified through research conducted by industry peers and firms. Third party rankings and recognitions from rating services or publications are not indicative of past or future investment performance. For more information, go to www.fivestarprofessional.com'.